Explore new routes on a 3-hour ride and share the story of your adventure. The next time you set out for a long ride, check out the country road you’ve been meaning to try but haven’t made time for, have a friend show you a whole new area, or just ride until you get yourself lost. Whatever you do, go on an adventure and try something new. Record your ride – which must be at least three hours long – and snap a few photos along the way. If you love to write, send us the story of your adventure. We’ll feature our favorite adventure tales on the Strava Blog and send the lucky author a pack full of Strava gear. 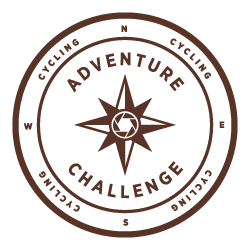 Athletes that take part in this Challenge will receive a digital finisher badge in their Trophy Case. You have to ride three hours (moving time) in a single ride and the elapsed time of the ride must be under 24 hours. To learn how Instagram integration works, visit this Knowledge Base article.